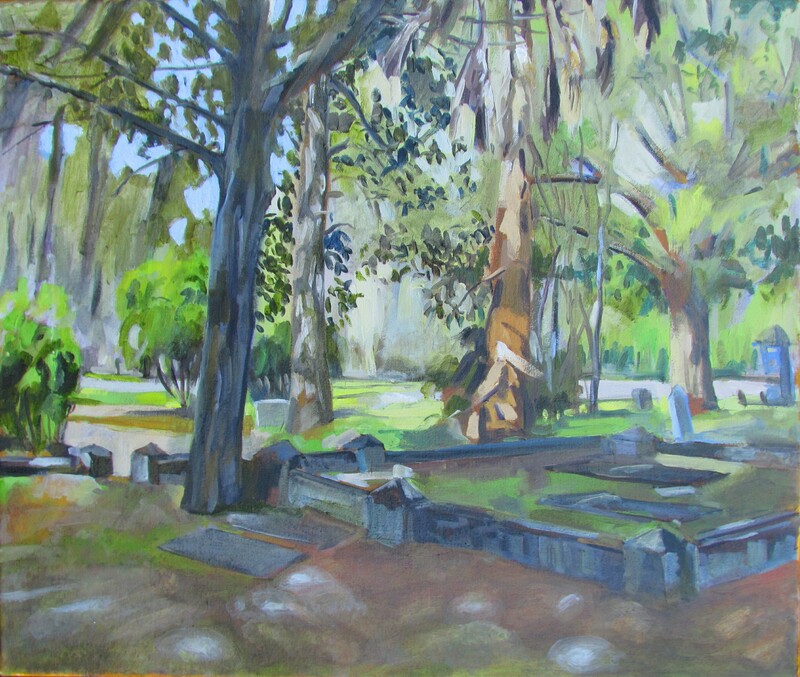 Simply put, as a painter, the Evergreen Cemetery is a landscape. 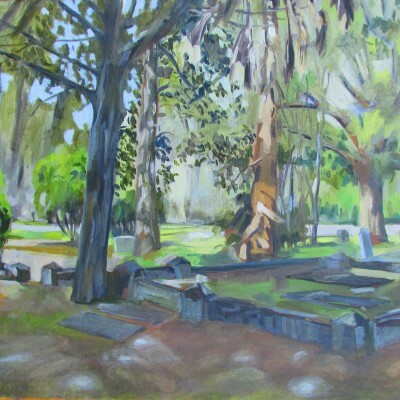 When searching for the right subject in the cemetery, the usual concerns were at play. The quality of light, the proportion of inanimate to animate objects, the placement of shapes, the depth of view and warm colors to offset the overwhelming green are some required design components of the landscape composition. This searching revealed to me how naturally integrated the cemetery features are at Evergreen. The smaller and older grave markers, because of their porous, worn texture, have maintained mosses adding to the variety of color. Yet not extinct, they hold their way. In glory through the sky. I’ve always been interested in art and making art. While growing up I was inspired by my Uncle Nunzio. He was a self-taught artist who painted realistically but from his imagination. As a little kid I remember sitting beside him working on my watercolors while he worked on his. After high school I began a long academic detour into the sciences which led to teaching at a community college for a couple of years. In 1993 I started working part-time as a math instructor. 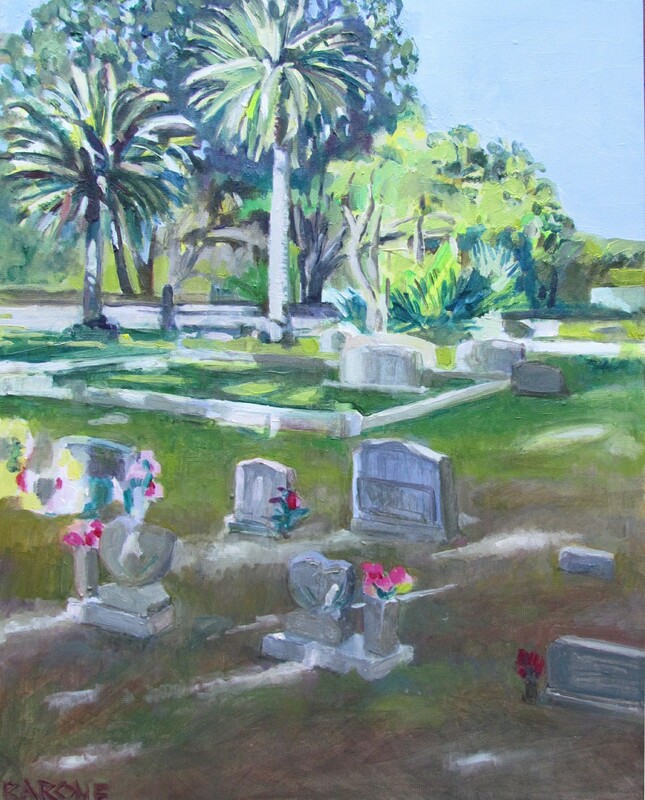 This supported me as I studied art formally by taking painting and drawing courses at Santa Fe Community College and the University of Florida. I focused on figure painting and narrative painting. 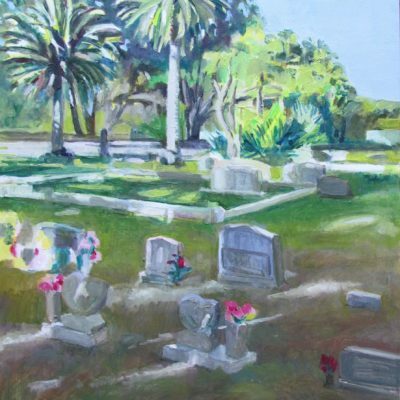 I have since participated in several local plein-air paint outs, namely the Annual Open Air Arts event in Melrose, Florida since 2009 and other local Gainesville painting events.